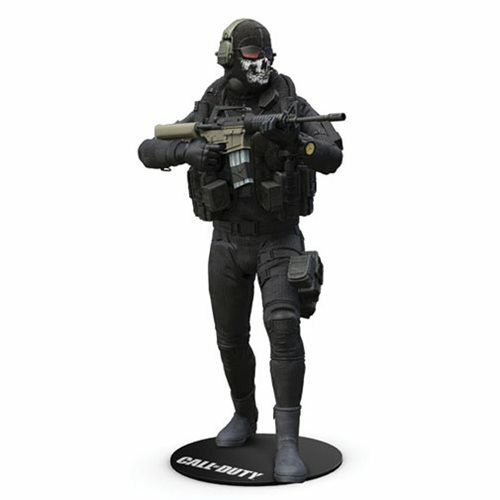 From the ever popular Call of Duty video game franchise comes Simon "Ghost" Riley as a detailed collector action figure! 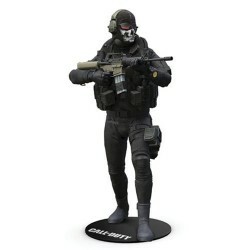 The highly detailed figure is modeled after Simon "Ghost" Riley from Call of Duty. The Ghost figure comes with an M-4 Assault Rifle weapon and has over 14 points of articulation for dynamic posing. Ghost comes in his iconic outfit worn in the video game and comes packaged in a collector blister card packaging. Lieutenant Simon "Ghost" Riley was a British special forces operator that has appeared in multiple Call of Duty titles. Ghost uses his stealth to gain the tactical advantage on enemies, ensuring that if he's on the battlefield no one is safe. Ages 12 and up. Made in China.